Composed by Peter Ilyich Tchaikovsky (1840-1893). Arranged by Robert Longfield. 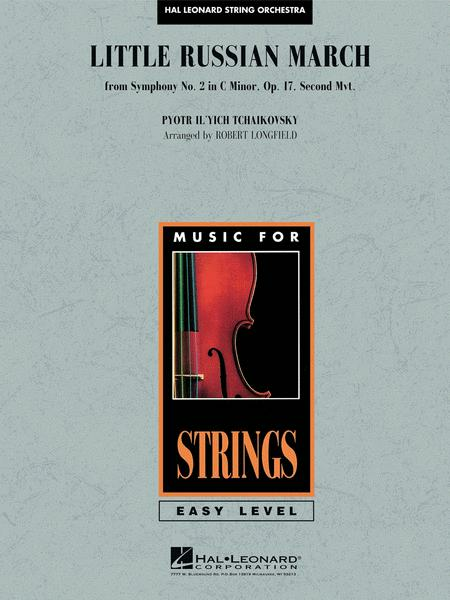 Easy Music For Strings. Classical. Published by Hal Leonard (HL.4491161). The colorful, tuneful march from Tchaikovsky's second symphony, considered to be one of his most joyous works, makes an ideal teaching piece with its distinctive dotted 8th/16th note figure throughout. The nickname “Little Russia” was given to the symphony based on its use of Ukrainian folk songs.